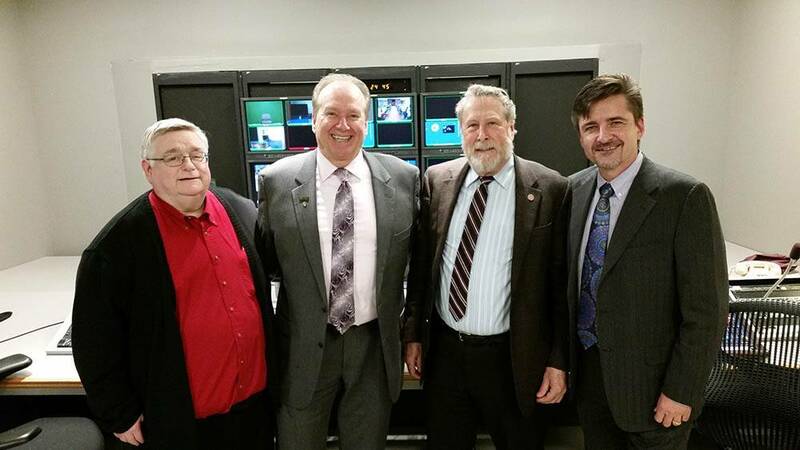 The Oklahoma Educational Television Authority (OETA) has announced an educational outreach partnership with Muskogee-based Bacone College. The agreement, which extends through the 2016 calendar year, gives the 21st Century Media Communication program access to OETA’s Tulsa studio for broadcast student training, career development and the development of a new television magazine. All productions are live-to-media and widely available to local communities. The pilot television series depicts the Greater Muskogee community, its people, issues, arts and entertainment and is a weekly production assembled at the Tulsa studio. The programs intend to reflect local activities, diverse voices, for-profit as well as nonprofit institutions, which are shaping the future of the Greater Muskogee region. This production enhances the quality of information available in Muskogee using both television and online distribution. Bacone’s programming will be distributed via traditional media outlets in Muskogee, as well as through online news channels. OETA is also providing production and engineering support staffing during the college’s production sessions at the studio. Bacone students are led by an award-winning producer and Bacone professor Andrew Sikora and former Rogers State Public Television production manager, Dale McKinney. McKinney heads the partnership as educational content producer at the Tulsa studio and brings more than 35 years of experience in broadcasting to the project. McKinney graduated from Oklahoma State University with a degree in radio, television and film and received a minor in German.